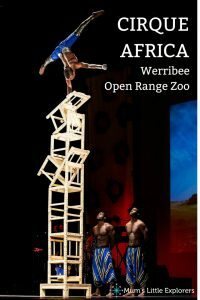 Cirque Africa are back in Melbourne again this year at the Werribee Open Range Zoo. 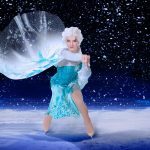 If you are looking for fun school holiday activities in Melbourne for the kids this Winter, the Cirque Africa is a must-see event for the whole family to enjoy. The Big Top Returns with exciting acrobatic shows these school holidays with a unique African experience. This high energy, uplifting sell-out performance is a fun filled event, bringing the African culture to life. Originally founded in Tanzania, Cirque Africa was originally an underground acrobatic school in Kinondoni, Dar es Salaam in 2003. However, since then this acrobatic show has grown to be the home of many of Africa’s most notable acrobatic acts. 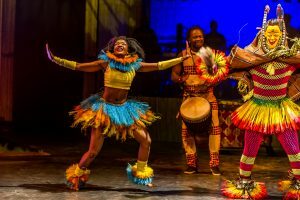 Consisting of 10 performing artists, Cirque Africa includes acrobats, dancers, percussionists, musicians, and contortionists from four different African countries. Immerse yourself in their performance under the heated and seated Big Top Tent and marvel as Cirque Africa performs their high energy, knuckle-biting acrobatic acts and mesmerizes you with their stunning and colourful African costumes. 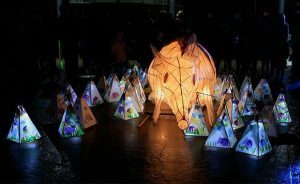 With numerous breathtaking performances every day of the school holidays, whether it’s wet or dry, this all-weather activity for kids in Melbourne is not to be missed. 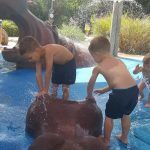 Shows taking place at 10.30am, 12.00pm, 1.30pm, & 3.00pm each day. 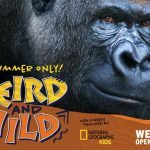 Note: Kids under 16 have FREE entrance to any Melbourne Zoo during the school holidays, however to attend the Cirque Africa show they must purchase a ticket. To purchase tickets or find out more info you can visit the zoo’s website. 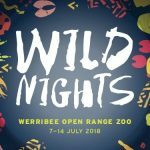 Another exciting event for families at the Werribee Zoo is the Wild Nights between July 1-7th. 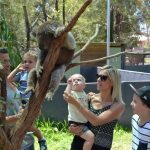 You may also be interested in visiting the Werribee Zoo or another of the three Melbourne Zoo’s. Don’t worry the kids are going to be bored these holidays. 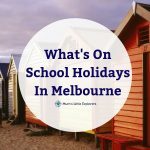 Check out our other school holiday activities for kids in Melbourne and find some other fun filled Melbourne events for your family. And if you are heading to Cirque Africa at the Werribee Zoo, we will see you there!